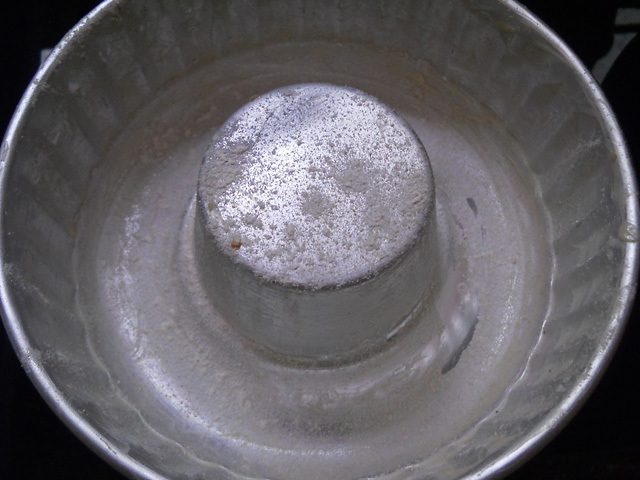 Eggless Baath Cake Recipe with step by step photos. 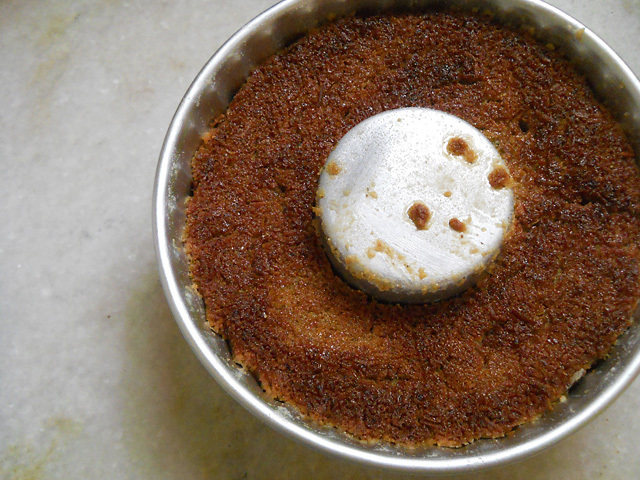 Goan Baath Cake is easy, soft and leaves a nice taste on your mouth palette. Easter Or Christmas Goan Baath Cake is always welcome 🙂 that too an eggless version… Actually one of my reader Pooja Saha requested me to make Eggless Baath Cake. 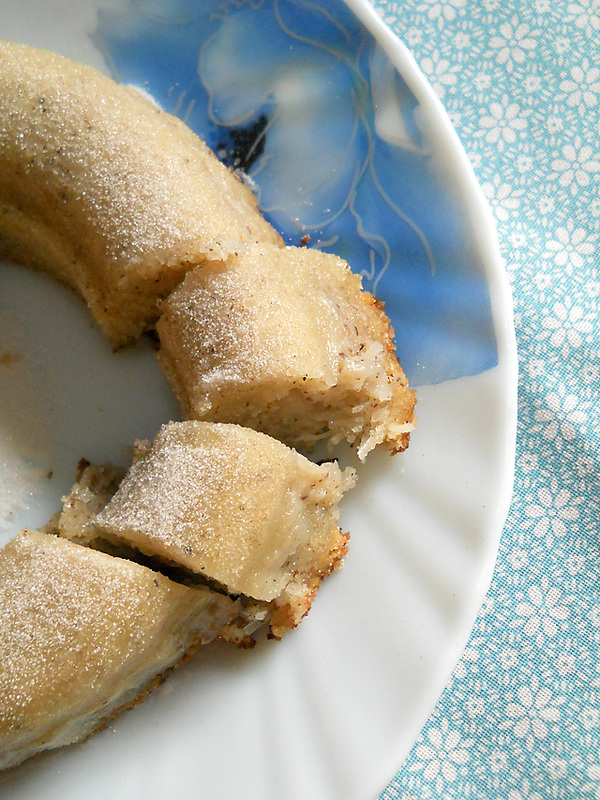 I have already made Baath Cake earlier last year. So Pooja and all other vegetarian people dedicating this eggless version of Goan Baath Cake to all of you.. Actually this is an instant version as normal Goan Baath Cake have to be soaked overnight. During festive season it’s great time to make sweets. Spend time in prayers, celebrate with family. That reminds me I haven’t made Easter eggs still lot of work to be completed gosh. I wish I had four hands and two brain just kidding. 1. Preheat oven at 180 °C exactly ten minutes before baking. Grease your pan with butter Or olive oil. Dust some flour on it. 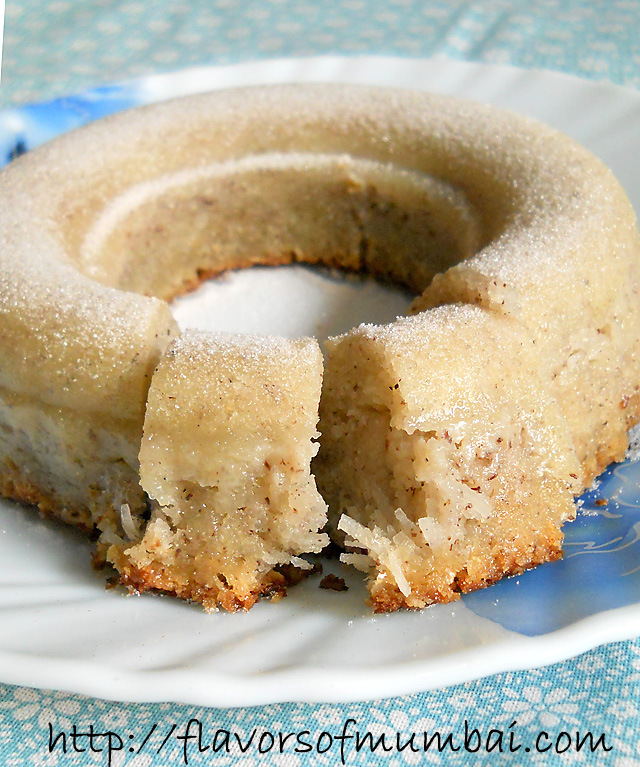 I have used a bundt pan you could use a round Or oval pan. 2. 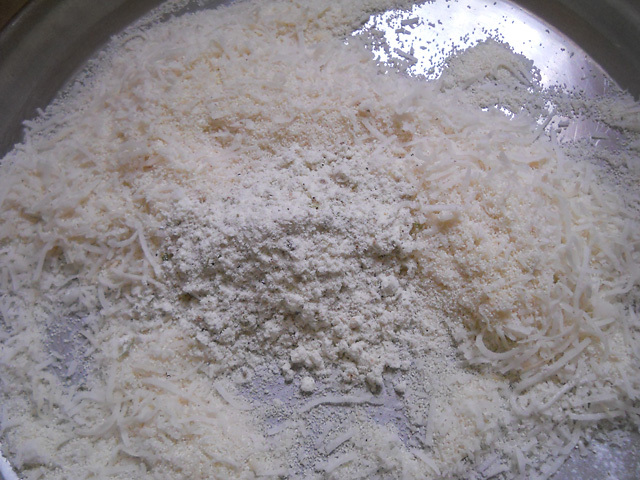 Sift semolina, baking powder and salt. Add desiccated coconut to it. Mix all nicely and keep aside. 3. 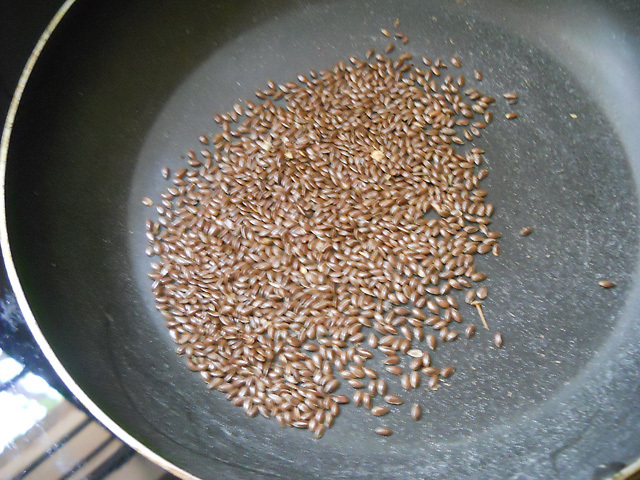 Take flaxseed and roast them on low heat on a pan for 2 to 3 mins. 4. Switch off the gas grind them into a fine powder. 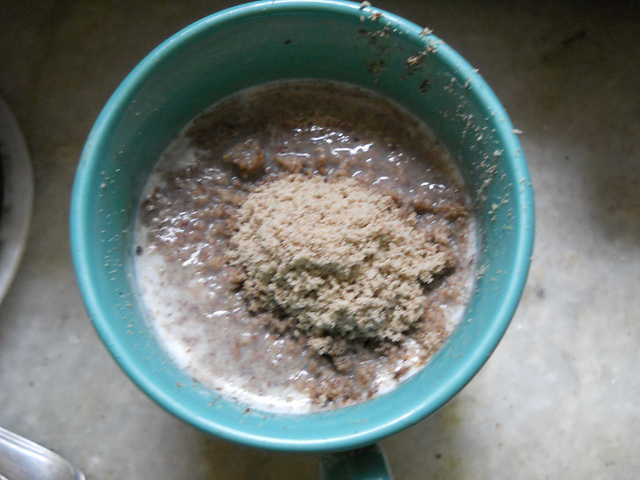 Mix the flax seed powder into a cup of hot milk. Give it a nice stir. Allow to rest for 5 to 7 mins. 5. 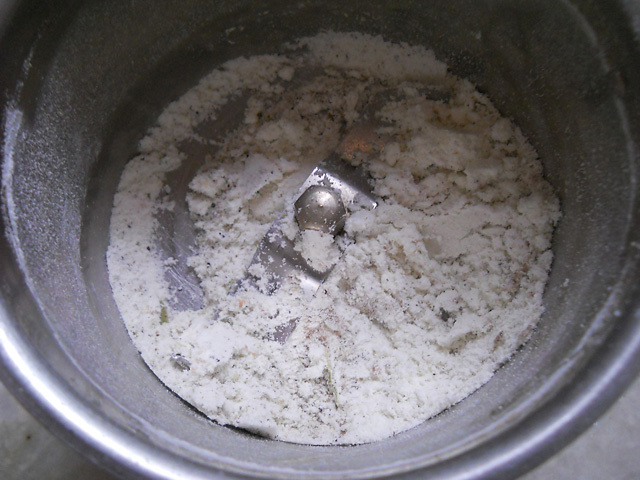 In the meanwhile grind whole cardamom with milk powder into a processor until fine powder is formed. 6. Mix this with the sifted dry ingredients. 7. 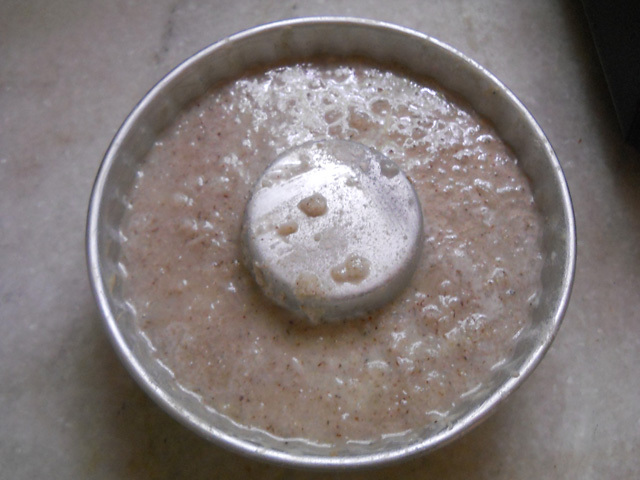 Take flaxseed – milk and beat on high speed with a beater. 8. Add butter / ghee to it and beat again for 2 to 3 min. 9. Now put castor sugar. 10. Beat nicely until they blend well. Add dry ingredients gradually into batches of three. Beat nicely until they incorporate well with each other. Lastly add 1 cup of boiling milk and allow to rest for an hour. Cover with a lid. 11. Post one hour check the taste. If you feel you need more sugar then add little more sugar. Pour the batter into the greased pan. 12. Bake at 180°C for 30 mins then reduce the temperature to 160°C for remaining 30 mins. Total time for baking should take about 1 hour Or until the skewer comes out clean. 13. Once it’s baked leave it in the oven for 2 to 3 mins with closed door. This will give a nice brown color to your cake. Serve eggless Goan Baath Cake warm or chilled. Preheat oven at 180 °C exactly ten minutes before baking. Grease your pan with butter Or olive oil. Dust some flour on it. I have used a bundt pan you could use a round Or oval pan. 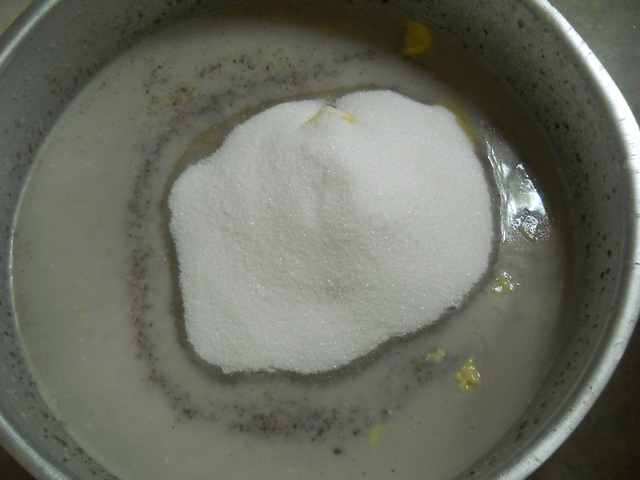 Sift semolina, baking powder and salt. Add desiccated coconut to it. Mix all nicely and keep aside. Take flaxseed and roast them on low heat on a pan for 2 to 3 mins. Switch off the gas grind them into a fine powder. 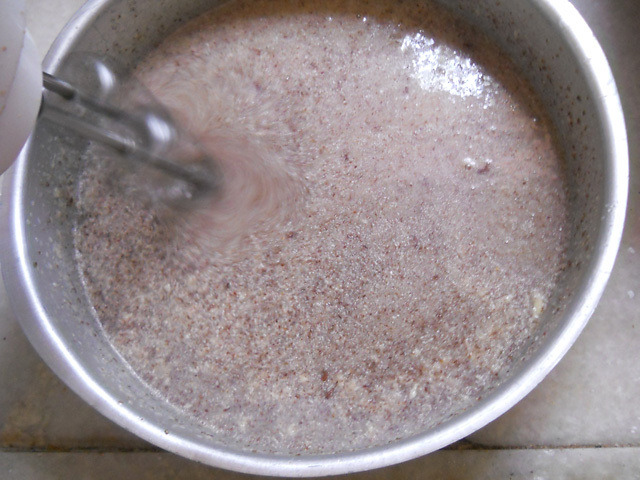 Mix the flax seed powder into a cup of hot milk. Give it a nice stir. Allow to rest for 5 to 7 mins. 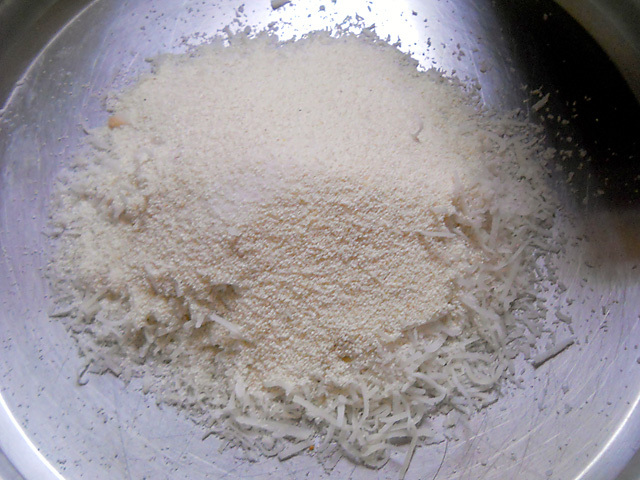 In the meanwhile grind whole cardamom with milk powder into a processor until fine powder is formed. Mix this with the sifted dry ingredients. 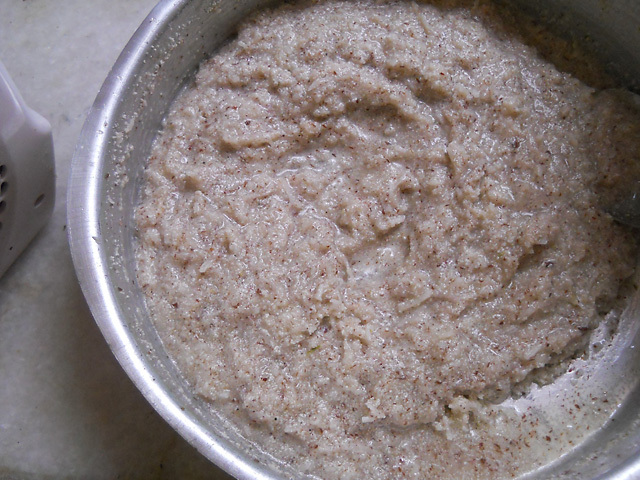 Take flaxseed - milk and beat on high speed with a beater. Add butter / ghee to it and beat again for 2 to 3 min. Beat nicely until they blend well. Add dry ingredients gradually into batches of three. Beat nicely until they incorporate well with each other. 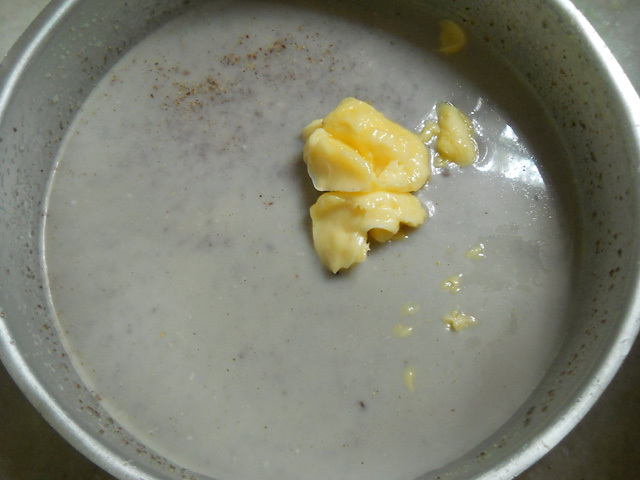 Lastly add 1 cup of boiling milk and allow to rest for an hour. Cover with a lid. Post one hour check the taste. If you feel you need more sugar then add little more sugar. Pour the batter into the greased pan. Bake at 180°C for 30 mins then reduce the temperature to 160°C for remaining 30 mins. Total time for baking should take about 1 hour Or until the skewer comes out clean. Once it's baked leave it in the oven for 2 to 3 mins with closed door. This will give a nice brown color to your cake. 1. Very important don't keep opening your oven door. This will lead to cake cracking. 2. All ovens have different capacity and temperature so be alert while you bake. 3. If your cake starts giving fragrance and leaves the edges of your pan. That means it's almost baked Or baking. Do a skewer test always while baking cake. 4. You could use nuts like pistachios Or rose petals for a different variation of the cake. 6. Don't overbake Or underbake any cake. 7. Usually people don't like flax seed flavor in cakes. But lemme tell you roasted ones taste great and leaves a nice nutty flavor in your cakes. It's healthy and eggless too! Moreover one cannot make out if you ever added flaxseed into Baath cake. Yes Shubha have mentioned in the post you could use fresh as well as dried coconut for this baath cake recipe. Thank u Mariya…. Ya just now saw ur egg version of this n came to know that even dry coconut can also b used….. Yes Astute normal round pan Or loaf pan would be just fine. Thanks for your kind words. Lemme know your views once you make the cake…… take care! That looks so moist and healthy, it might be worthwhile seeking out those flaxseeds. My husband and son don’t really eat sweet food but they might eat this. It is fun to get new gadgets for the kitchen, that bundt pan will come in handy. This cake looks so good, I wish I was getting it as a gift. Your friends will be so delighted to receive this! Also, I think it is pretty cool that this was a reader request. Now that you have told everybody, you may have flood of requests! Enjoy the day.